Used in good shape. Never re-furbished. Look to Dell for complete networking solutions, whether you need to connect a few systems, or build an enterprise-wide network. 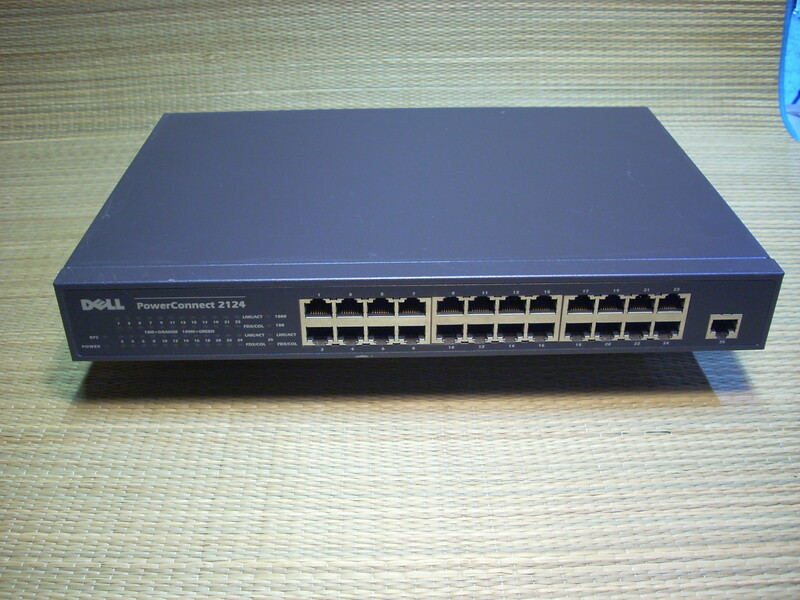 Designed for high performance, reliability and interoperability, PowerConnect switches deliver unprecedented value.Dell PowerConnect 2124 provides 24 ports of Fast Ethernet connectivity, plus one Gigabit Ethernet up-link at an extremely attractive price. It is ideal for organizations that need simple, fast server connectivity.